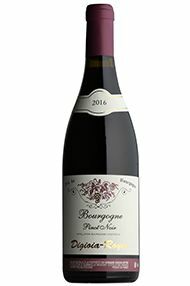 This Burgundy domaine run by Michel Digioia comprises fewer than 5 hectares, but much of that is in generic Bourgogne of one form or another. There are 1.70 hectares of village Chambolle from 7 different lieux-dits, as well as a good holding (0.70ha) of Fremières which is bottled apart and two miniscule plots of 1er cru in Les Groseilles and Les Gruenchers. Delicious wines. He has a quality-orientated philosophy of the highest order and this led to making two green harvests in 2000 to ensure low yields and excellent fruit. 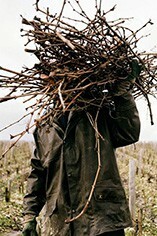 Michel is a welcome addition to our increasing ranks of high quality Burgundy growers. Digioia-Royer: the name may not trip off the tongue, but the wines dance across it. 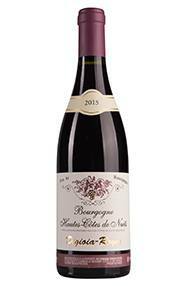 Run by Michel Digioia, this is a tiny estate based in Chambolle-Musigny. 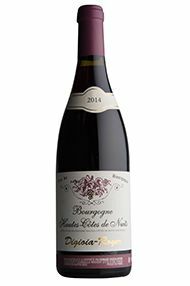 Michel has a small parcel of Chambolle and even smaller plots of Premier Cru Nuits-St Georges, but the majority of his holdings fall under the appellation of Bourgogne Rouge and Bourgogne Hautes Côtes de Nuits. This wine is made from a single parcel, planted in the 1950s, whose altitude (a relatively lofty 350 metres) results in wines with crunchy acidity and a real sense of energy. On the nose, expect aromas of blackberry and cherry. The tannins have softened with a few years in bottle, but there’s still satisfying grip to the palate, which makes this a rewarding match for meaty dishes. Drink now to 2024.